Enable team members to collaborate during your projects. 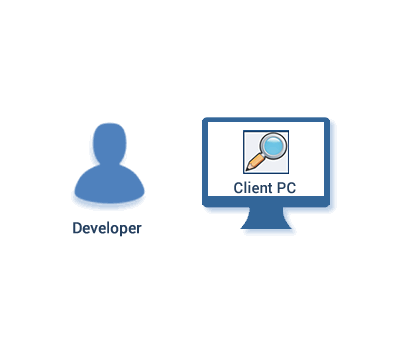 When analyzing small volumes of code or trying Visual Expert, you can run it locally on a developer PC. 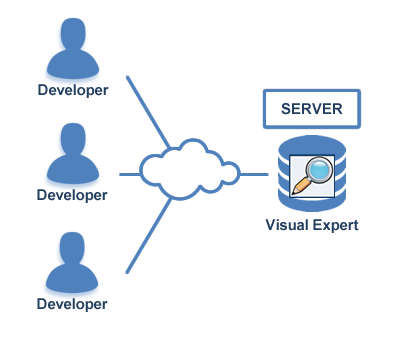 For large volumes of code, and for sharing analyses between team members, Visual Expert will run on a server. (for example: PowerBuilder Front-end + an Oracle back-end + Front-end / Back-end dependencies). You can analyse multiple applications at the same time. For example if you maintain a portfolio and need to explore several applications in parallel. When a new code analysis is done, previous ones remain available. Open previous analyses to browse older versions of your code. 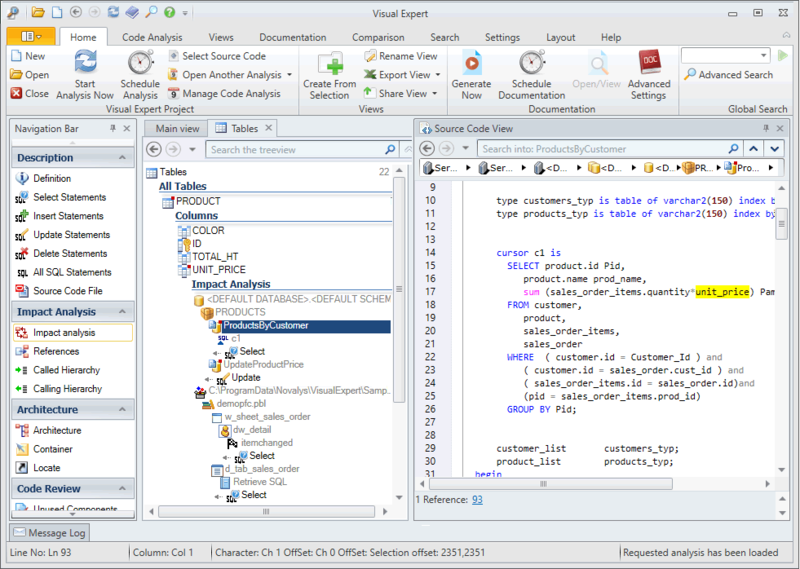 Compare two code Analyses to find differences between them. Using VE's features allows a much quicker turnaround, reduces expenses and frees up resources for more productive work.